Cochin Arrive Cochin. Met upon arrival and transfer to Hotel. Evening Harbour Cruise of Cochin. With one of the finest natural harbors in the world -Cochin was once a major centre for commerce and trade with the British, Arabs, Chinese, Portuguese, Dutch etc. All communities found a welcome in Kerala. Morning drive to Kozhikode (185 kms. / 4 hrs.). Afternoon free for boating. Visit Calicut including Pazahssiraja Museum and Art Gallery and Kappad Beach -a historic beach where Vasco da Gama landed in 1498 and Beypore -a prominent port and important trade and maritime centre. Ancient Beypore was much sought after by merchants from Western Asia for its shipbuilding industry. The art of "Uru" (Arabian trading vessel) building is a tradition of over 1500 years and you can even witness some of them being built and you could also buy their miniature versions from local shops. 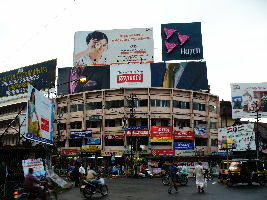 Drive to Guruvayur (3 hrs) -the temple town. Walk around the temple to witness the small colourfull shops. Afternoon visit punnathoorkotta -the home of 50 elephants offers unusual spectacles of the gently pachyderm. These temple elephants are decorated for the various festivals and most important of them is Thrissur, Pooram at Trichur when 30 caparisoned elephants decorated with gold ornaments line up on opposite sides and traditional music (panchvadhyam) is played. Morning drive to Munnar (175 kms /4 hrs.) the hill resort (alt. 1600 m). Afternoon free to witness the beauty of nature at its' best. 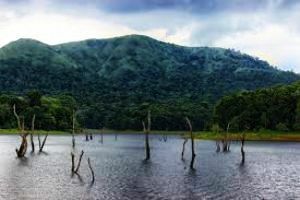 Morning visit Eravikulam National Park - the natural habitat of the Nilgiri Tahr (a rare mountain goat) and the highest peak of South India - Anamudi (2695 meters) is also within its limits. Afternoon free (optional visit to Kunnakkamalai Tea estate by jeep). 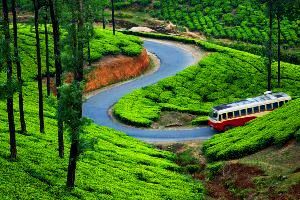 Drive to Periyar (100 kms / 3 hrs ) which is most scenic while you drive down through Tea and spice plantations through the green and blue hills. Afternoon take a Boat safari in lake Periyar inside the Periyar National Park. Drive to Kumarakom (130 kms/3 Hrs) a unique backwater destination situated on the banks of the Vembnad lake. Evening sunset cruise on lake after visiting Kumarakom Bird Sanctuary. 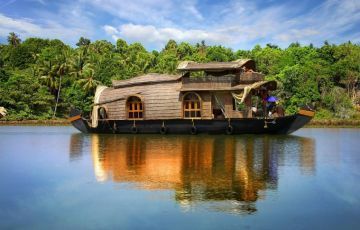 Embark on the Kettuvallam -the typical House Boats and sail through the most beautiful backwaters region towards Kollam These traditional boats gently sail on through the rural interiors of Kerala which remain hidden from the road. Disembark at Thottappalli and drive to Kovalam (100 kms / 3 Hrs) enroute visiting Trivandrum_the ancient city and capital of Kerala state. Places of interest in Trivandrum are Sri Padmanabha Temple, Kuthiramalika Palace, Trivandrum Zoo, Srichithra Art Gallery and Napier Musiem. Evening free to relax on the beach. Full day excursion to Kanyakumari (also known as Cape Comorin which is 67 kms / 1 2 Hrs) -the tip of peninsular India where 3 seas -Indian Ocean, Arabian Sea and the Bay of Bengal meet. Enroute visiting Padmanabhapuram Palace_well known for wooden works. Visit Kanyakumari Temple, Gandhi Memorial and Vivekananda Memorial. 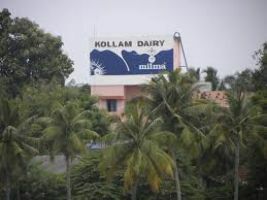 Evening visit the spectacular Sunset and drive back to Kovalam hotel. 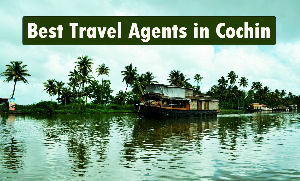 Drive to Trivandrum airport (17 Kms) and connect your international flight for home. (Hotel Checkout 12 :00 Hrs).